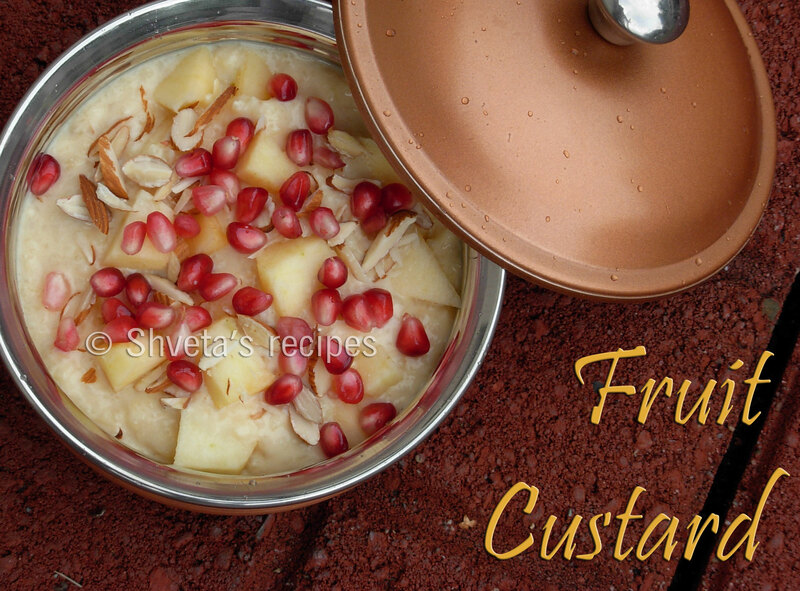 Fruit custard is an easy fruit salad with delicate creamy sweet sauce. It can be served as dessert or a side dish. In a small bowl, take 1/2 cup warm milk and add 2 tbsp custard powder. Mix well to make it smooth and lump free. Keep aside. In a heavy bottom pan, add remaining milk and bring it to a boil. Add sugar and mix well. Now gradually add custard mix to the milk. Stir continuously. It starts to thicken. Cool it down at the room temperature and then refrigerate. Clean and cut all the fruits in bite size pieces and keep aside. Chop the nuts for garnish and keep aside. In a serving bowl, arrange cut fruits. 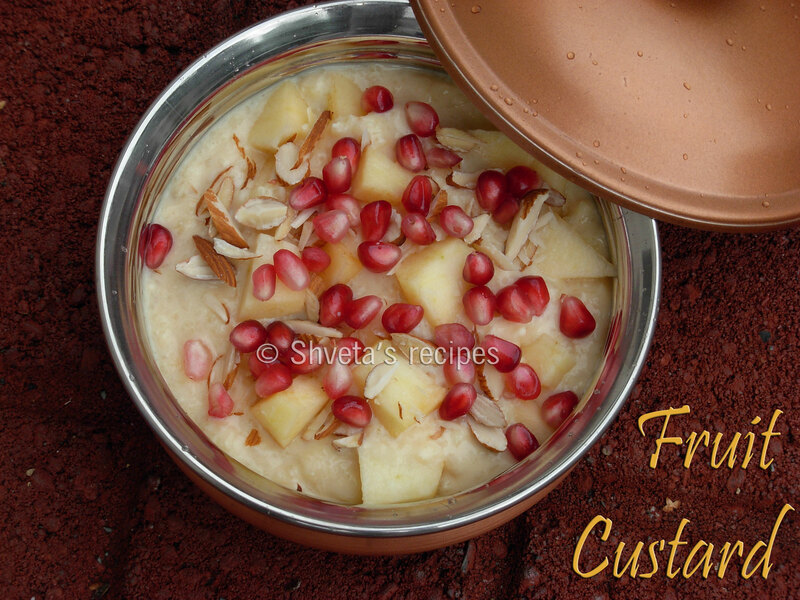 Now pour chilled custard and garnish with chopped nuts and pomegranate seeds. Serve chilled. It looks very delicious. going to prepare it on weekend. Thanks keep posting.